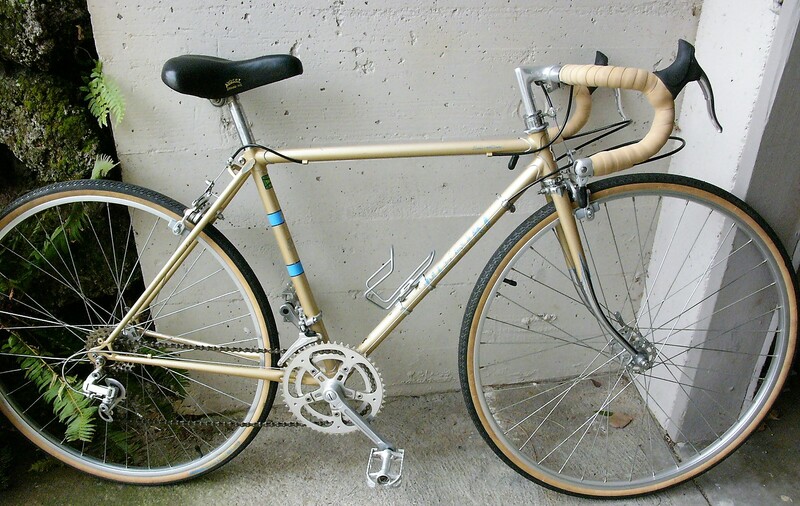 Here is a late 70’s Austro Daimler Inter 10. 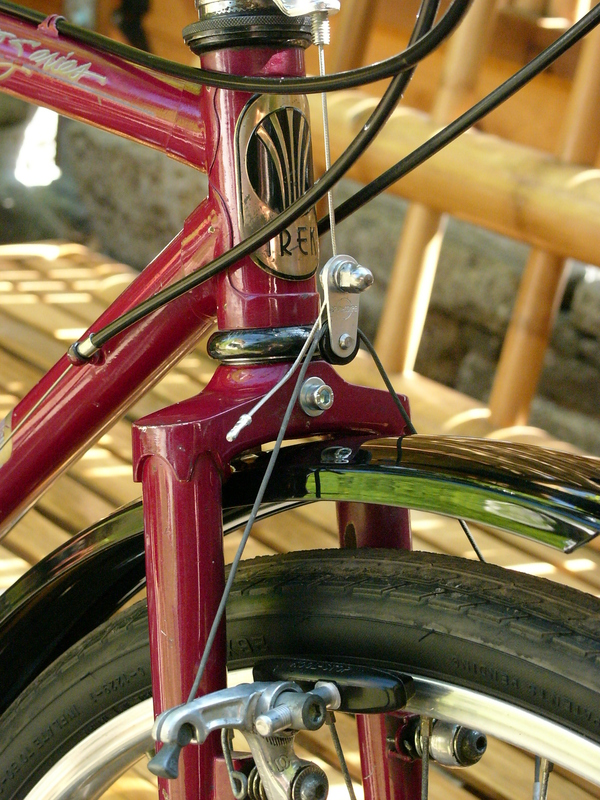 It is built with Reynolds 531 butted tubing and has an unusually nice mix of quality components. 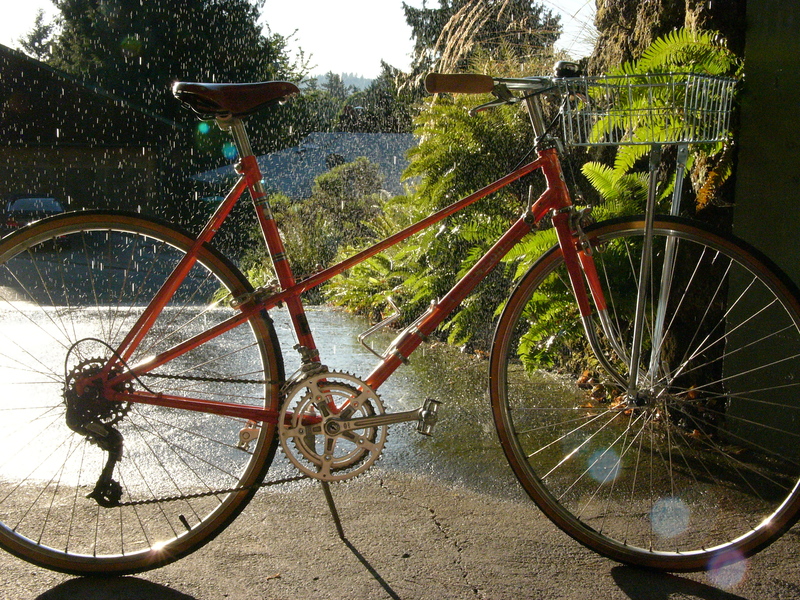 I have overhauled and restored it in my usual way, which involves removing all components for cleaning and mechanical overhaul, cleaning and waxing the frame, treating the frame internals for rust, then putting the bike back together with new: cables, housing (if needed), tubes and tires and of course a rebuild of hubs, bottom bracket, and headset. 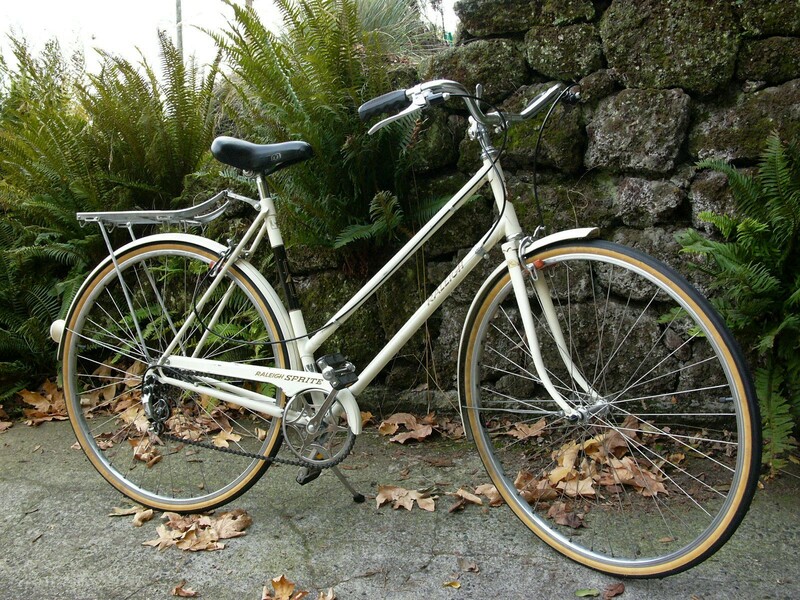 With its high quality frame and excellent overall condition, this is a bike to keep as original as possible. 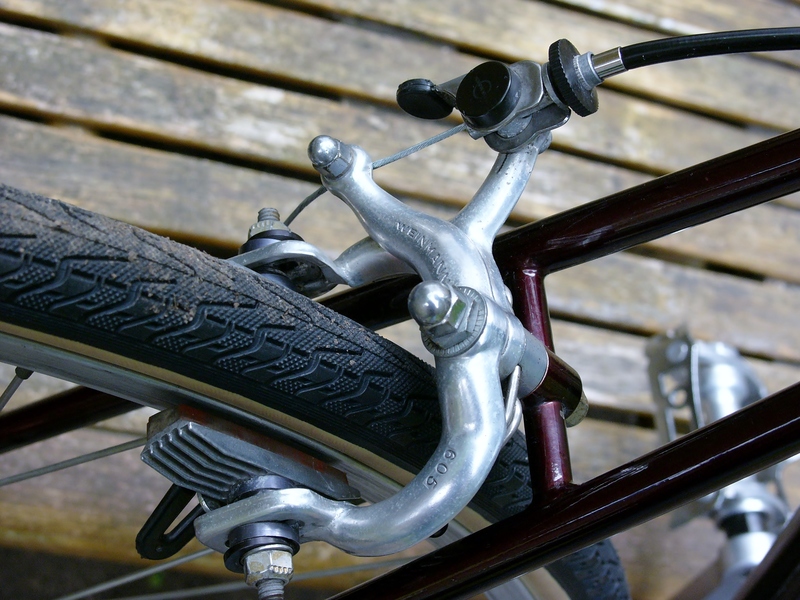 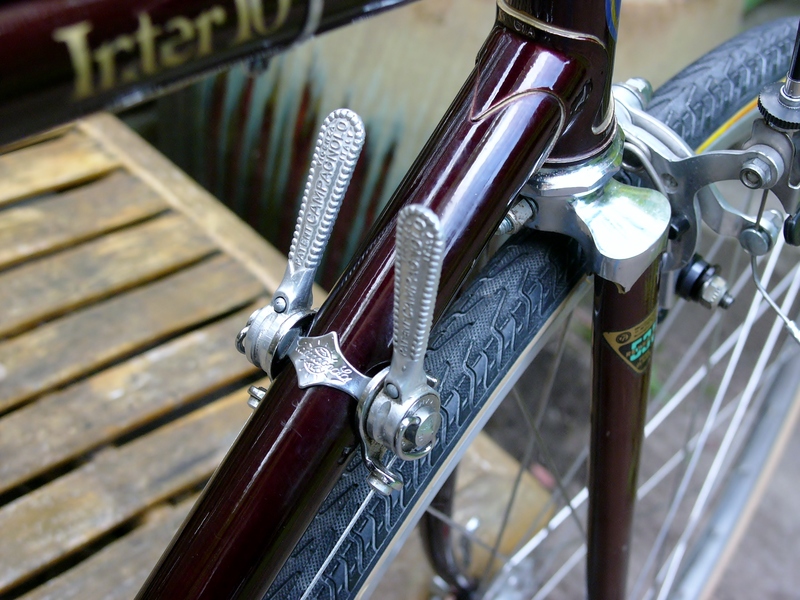 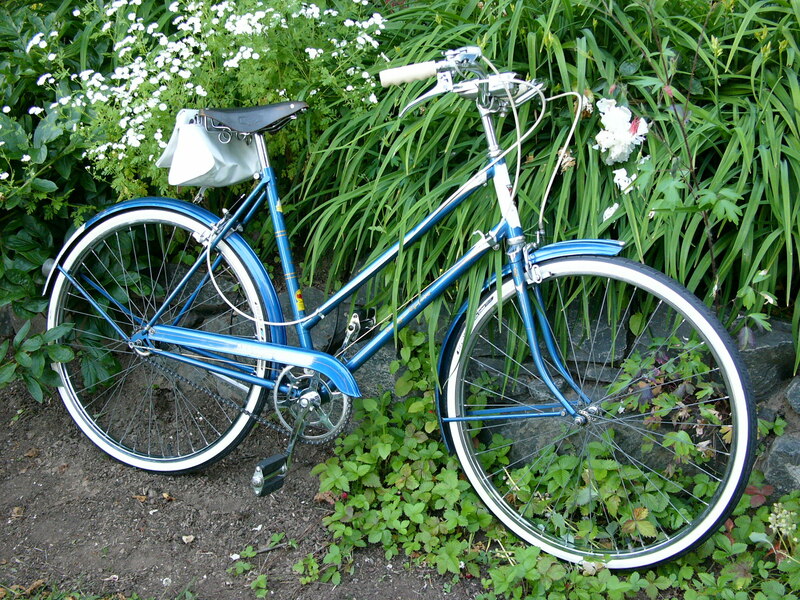 Not all Austro Daimler Inter 10’s were made with Reynolds 531 tubing, but they were mostly set up with components for light touring and sport riding. 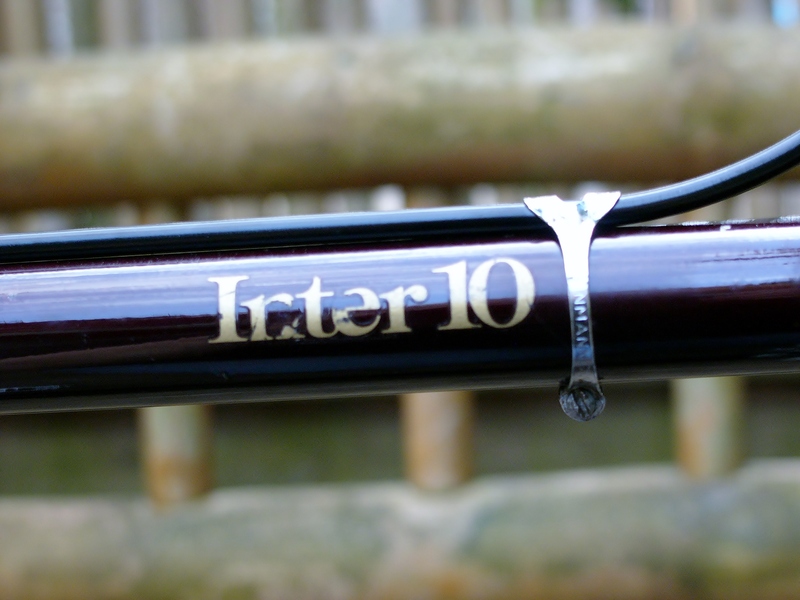 This Inter 10 also has higher end components normally found on the upper level models such as the Super Light and the Vent Noir. 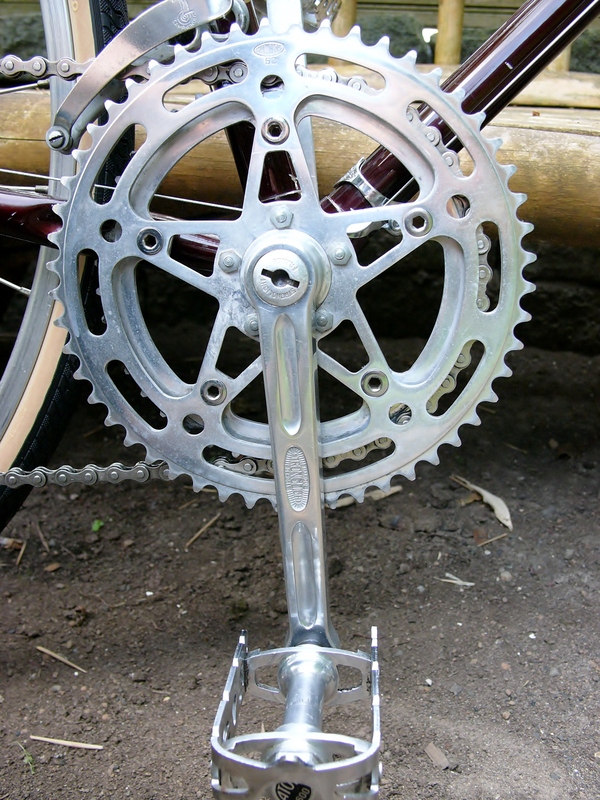 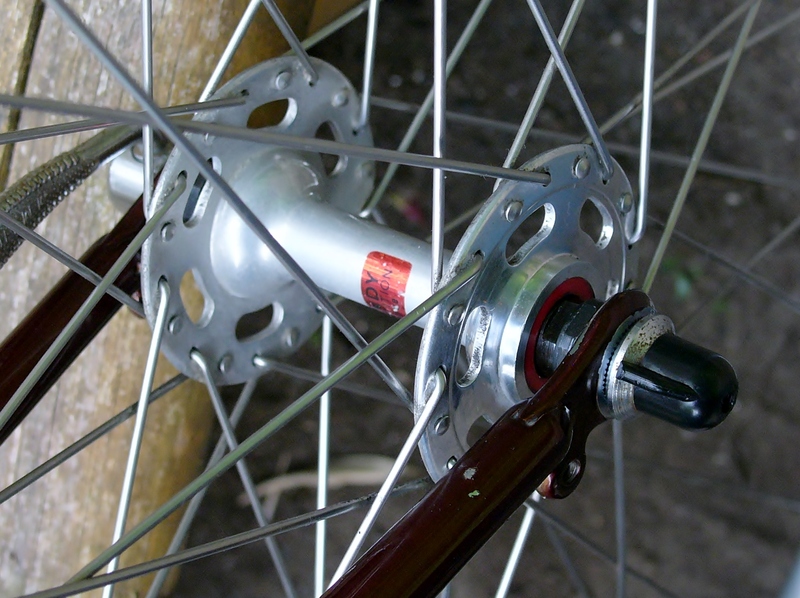 The drive train is geared for touring, with a 14/34 freewheel mated to a 42/52 crankset. 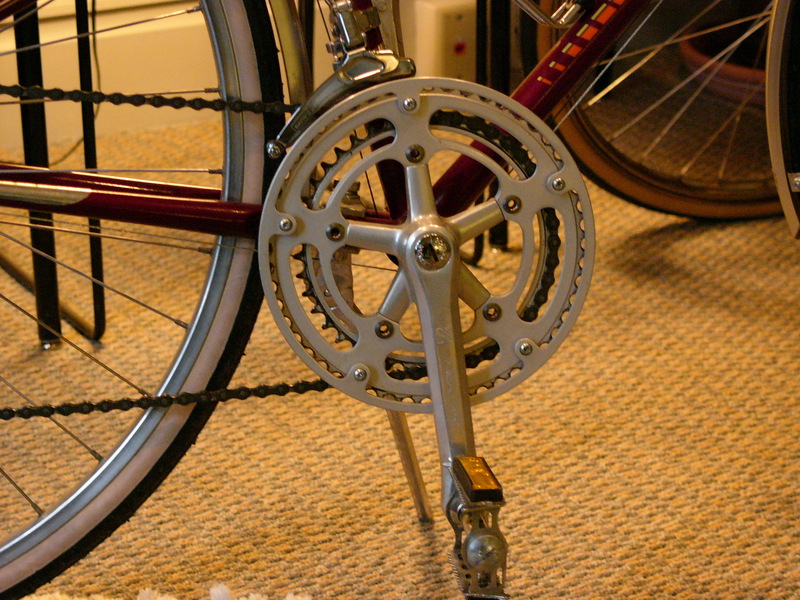 With this wheel size, the yields a gear inch range of 33-100. 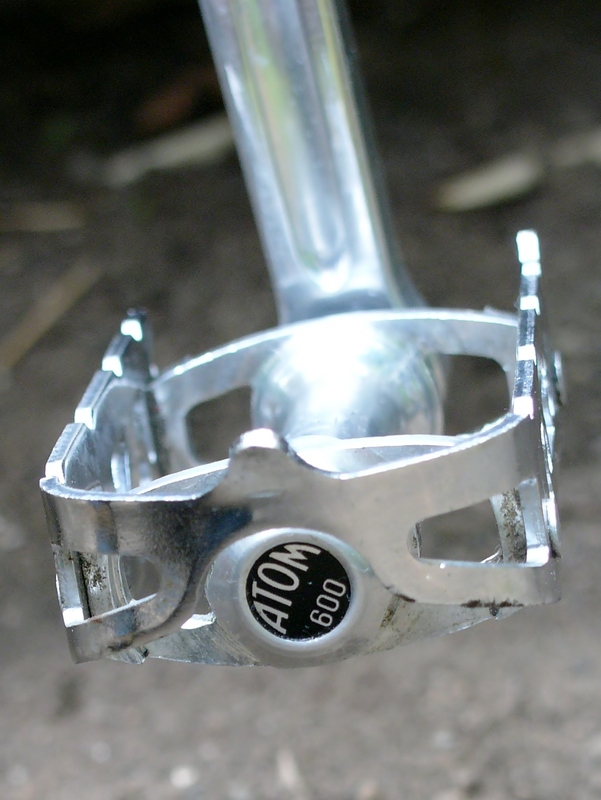 That’s a pretty good range conducive for all types of riding. 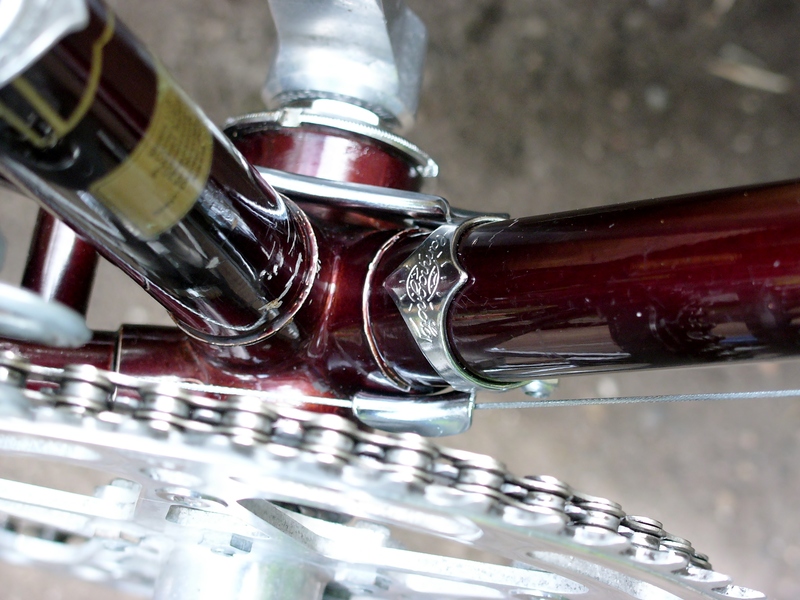 Rare and beautiful GB Maes bars in fantastic shape. 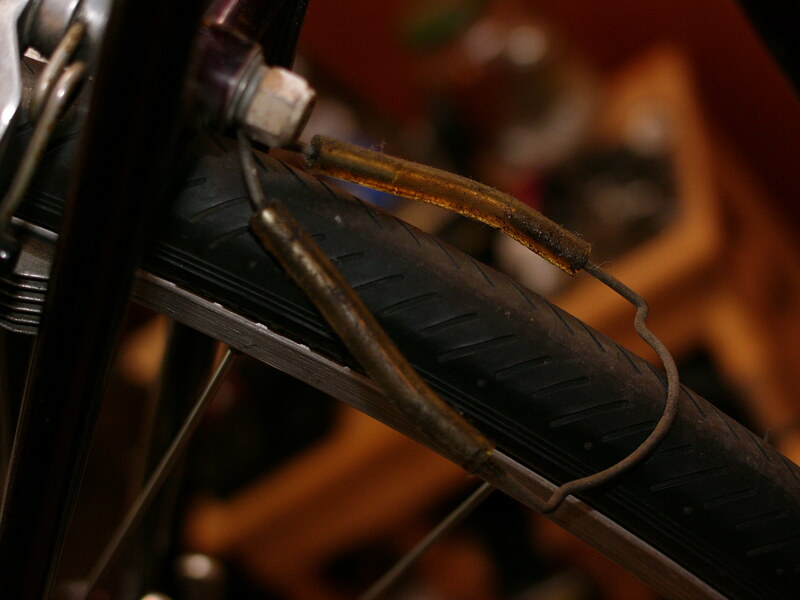 I also had a nostalgia moment when I removed these “extras” from the bike – an odometer, tire savers, and flick-stand. 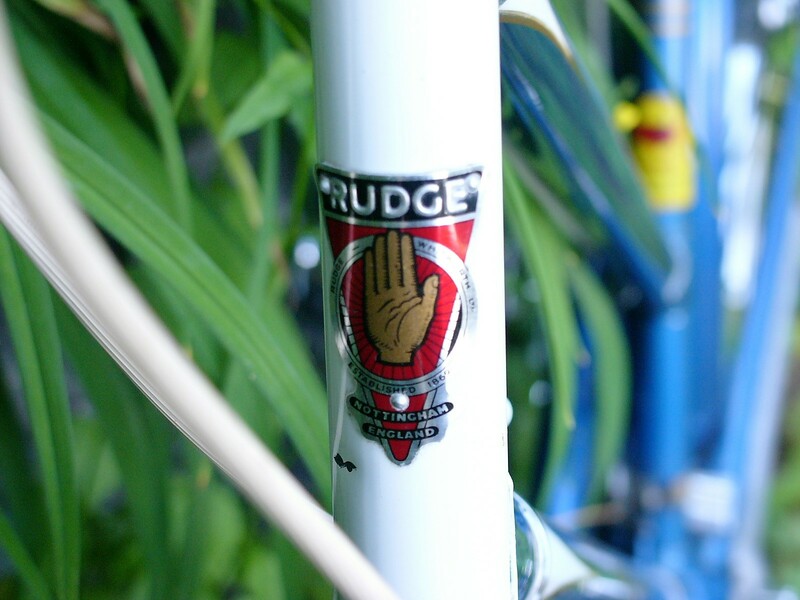 These were de rigueur back in the day. 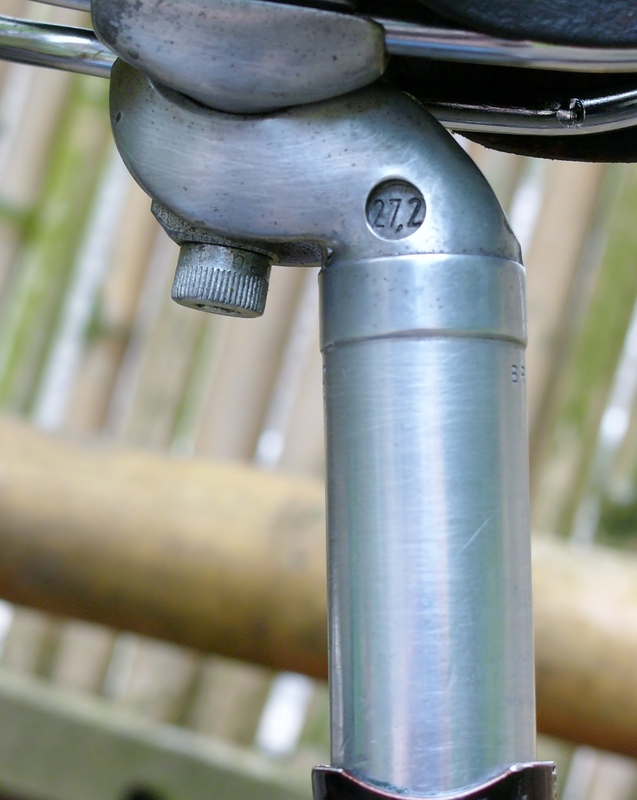 The flick stand is actually a very useful device that I will probably use for one of my bikes. 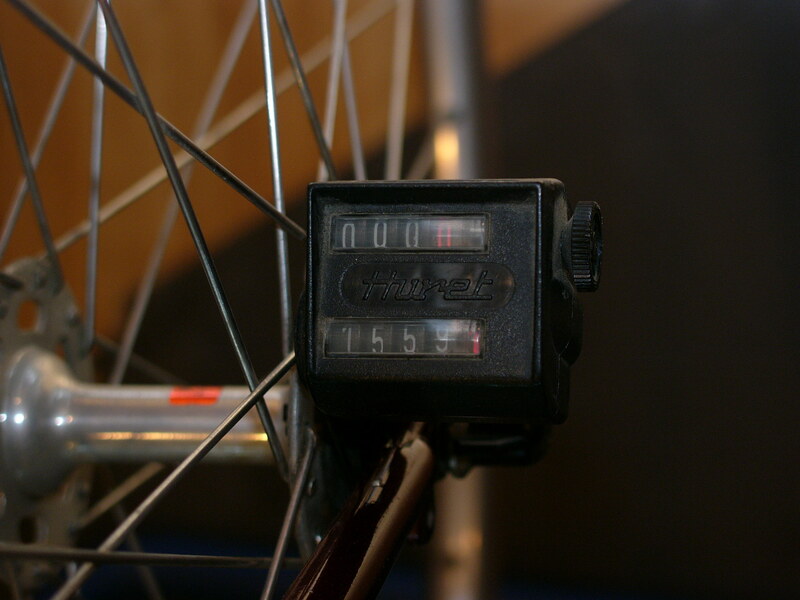 The Huret odometer shows less than 1600 miles on the clock – that seems about right given the nice condition the bike was in. 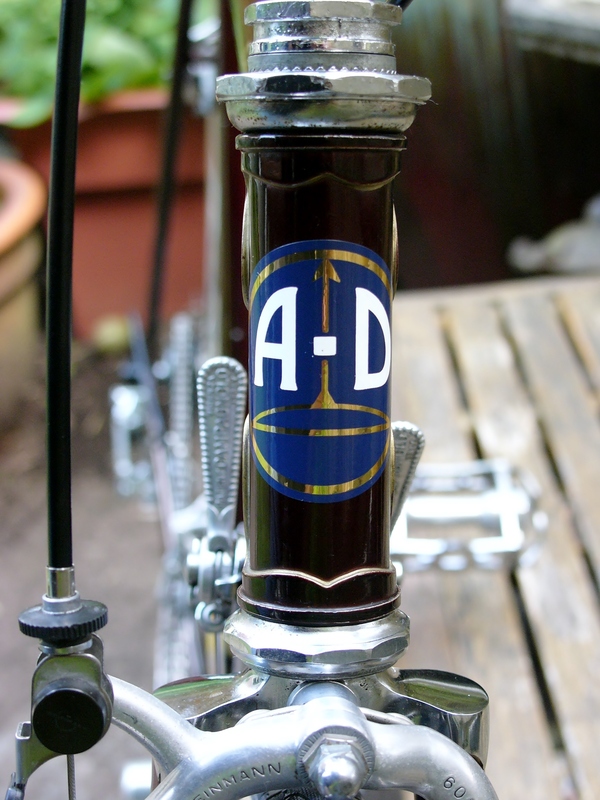 All of the Austro Daimler’s I have encountered have been surprisingly nice. 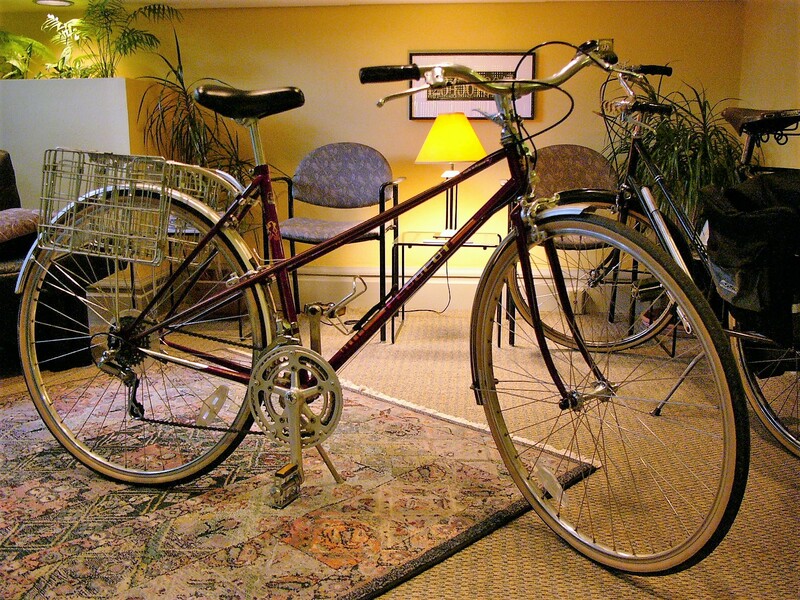 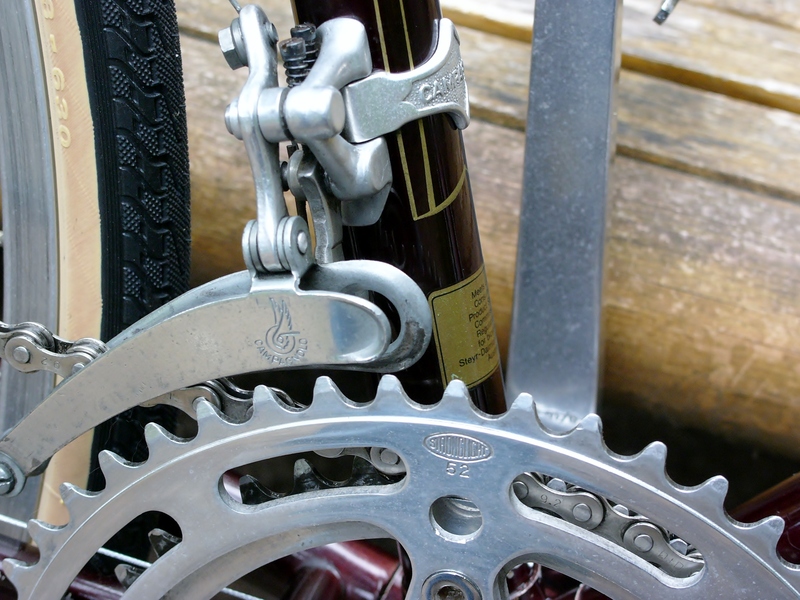 The company had a lengthy and complex relationship to bicycle manufacturing. 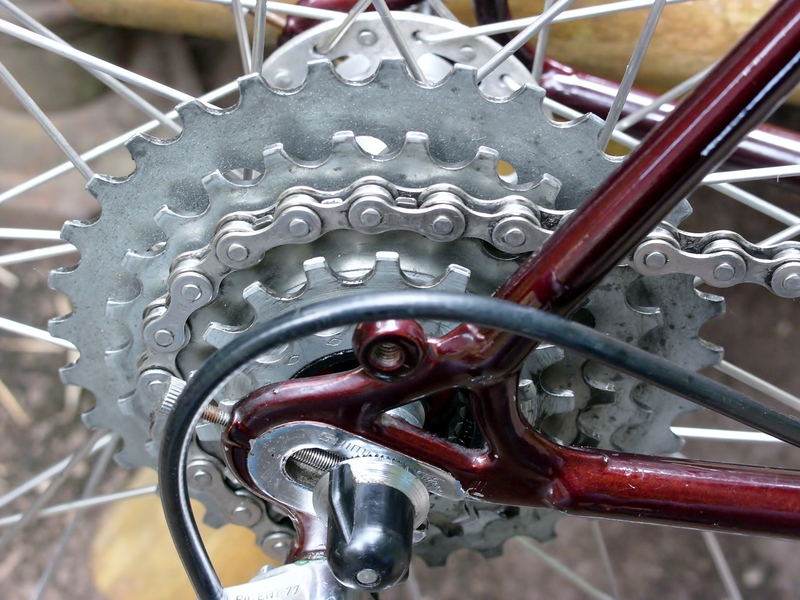 If you want to know things you never dreamed of wanting to know about the company, here is an amazing manifesto on the subject. 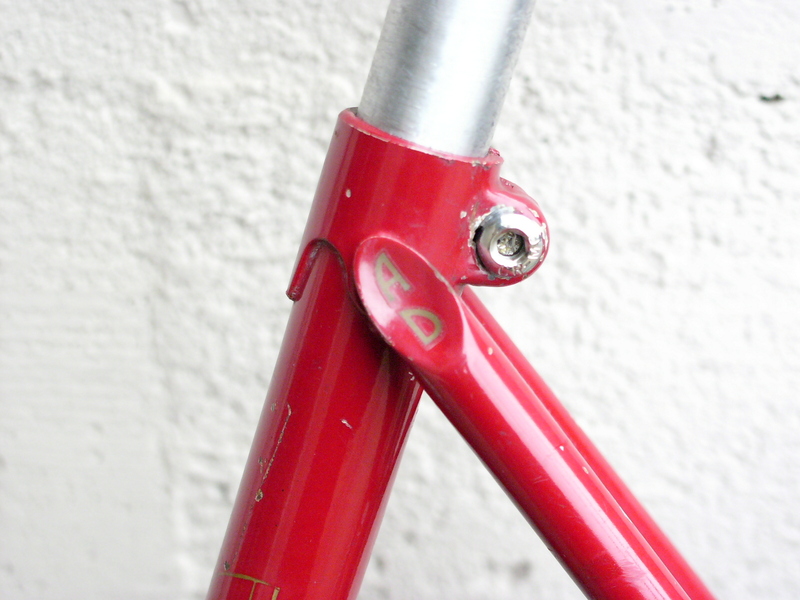 This frame is built with Reynolds tubing. 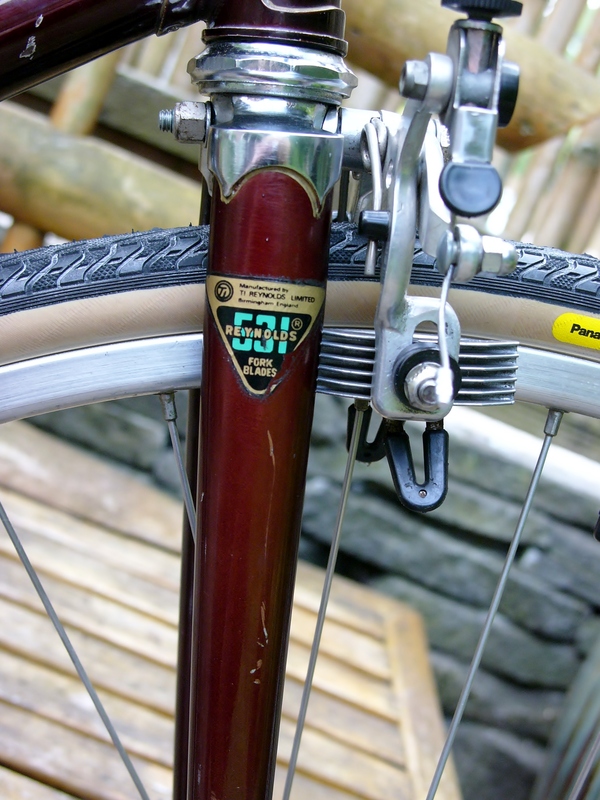 The sticker is missing on the seat tube, but still present on the fork. 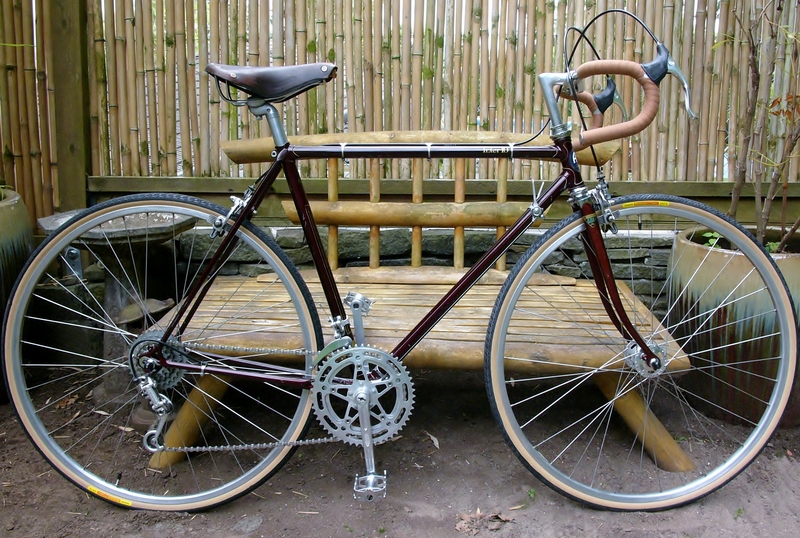 This bike’s top tube is 57 cm, even though the seat tube is 53 cm. 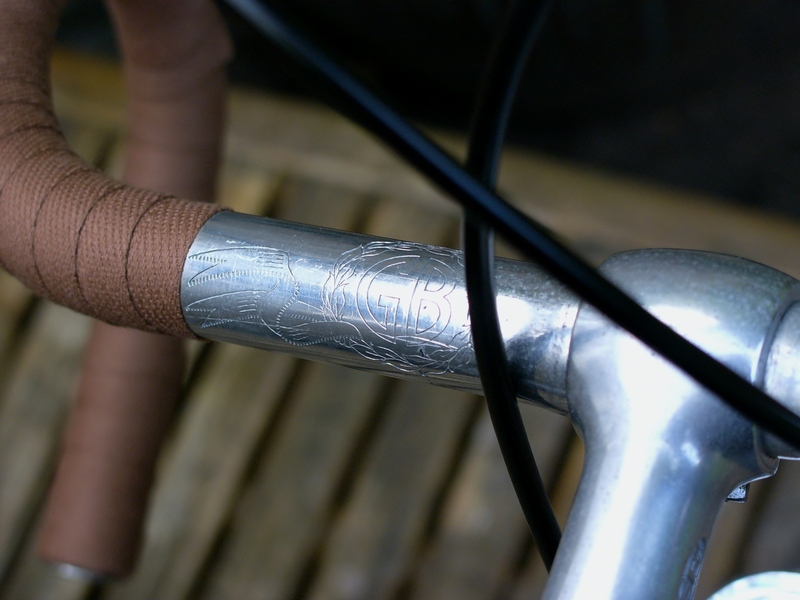 Apparently, Austro Daimler just used the same top tube length for most of its bikes, regardless of seat tube length. 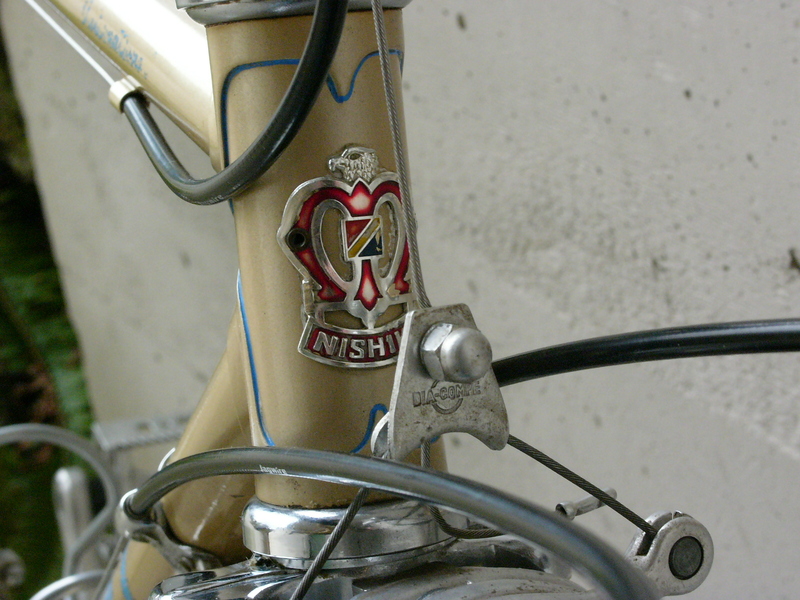 Fortunately, when the bike was built up, a short reach and tall SR stem was chosen, so the ergonomics on this bike still fit like a typical 53 cm bike. 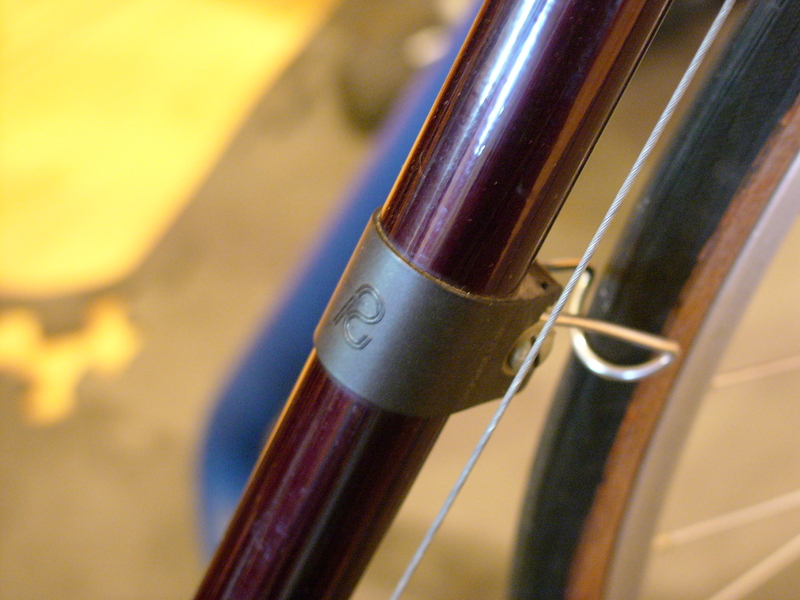 The bike has an unusual seat post – a “G.S.” San Marco, which is actually very attractive and has the diameter inscribed in a helpful location. 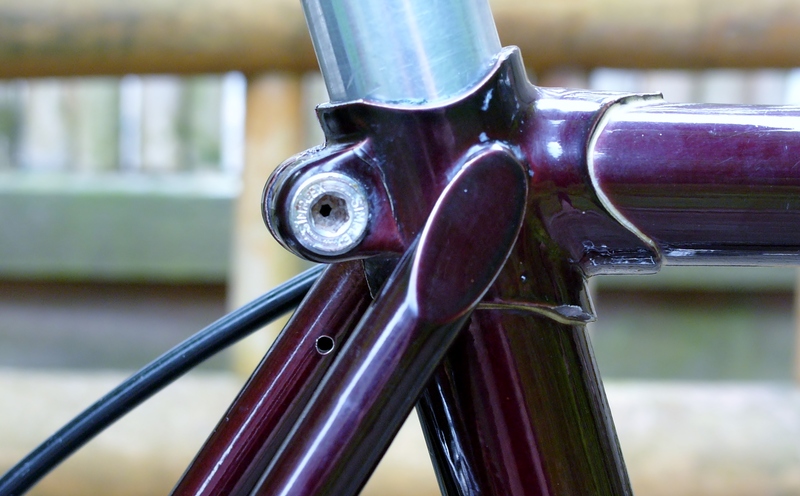 The build quality of the frame is extraordinarily nice, with Shimano forged drop outs, lined lugs, a chrome fork crown, and top quality finish work on the seat lug. 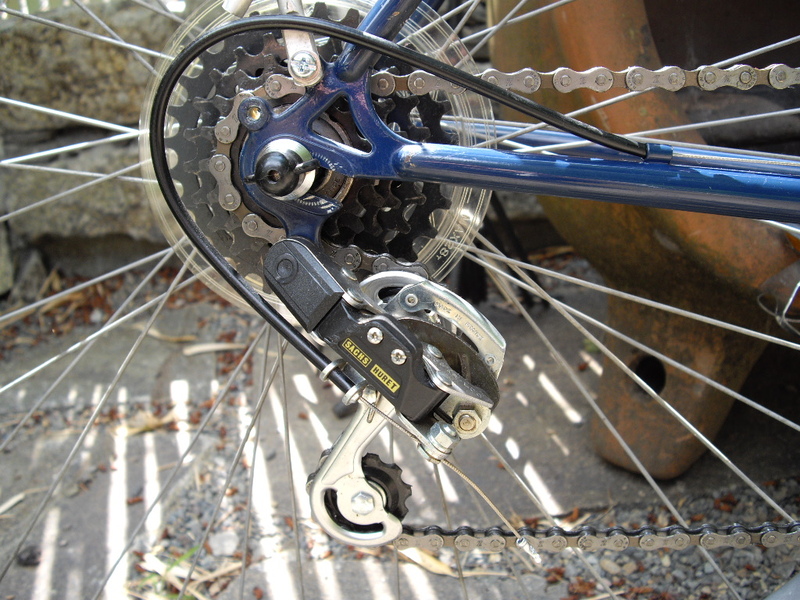 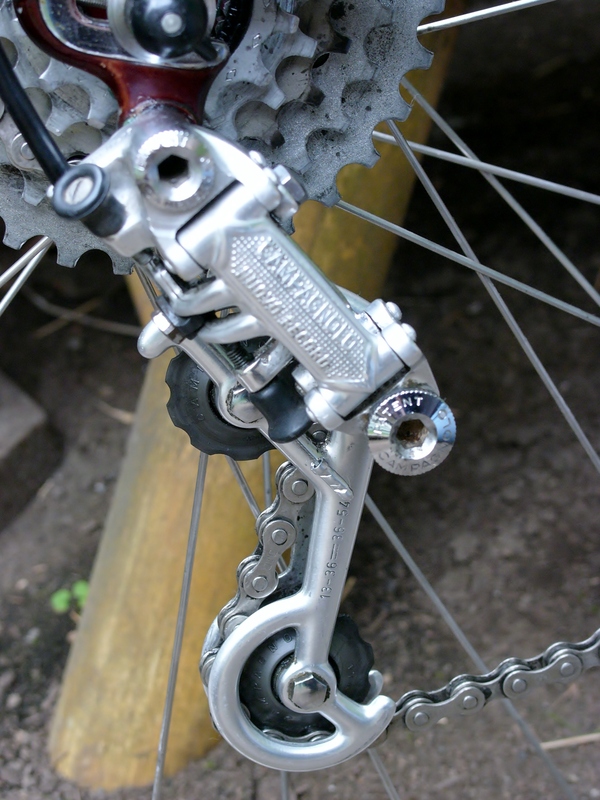 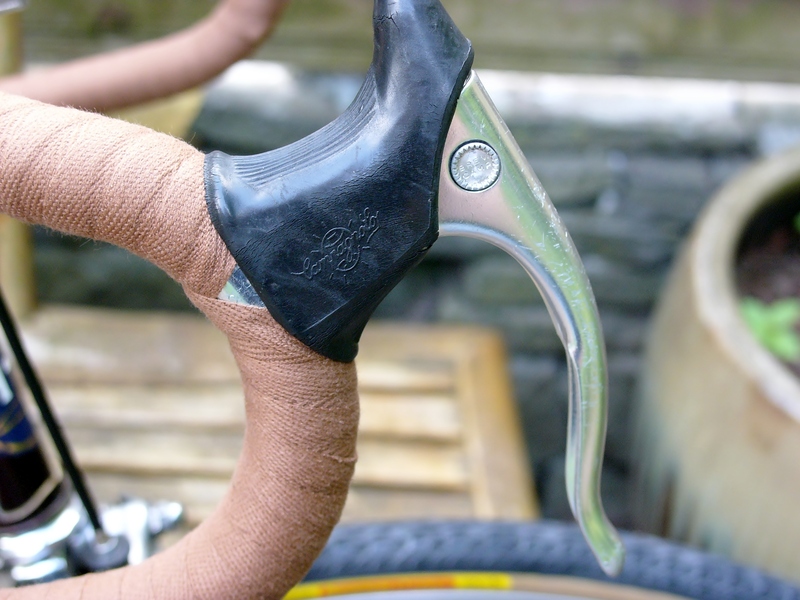 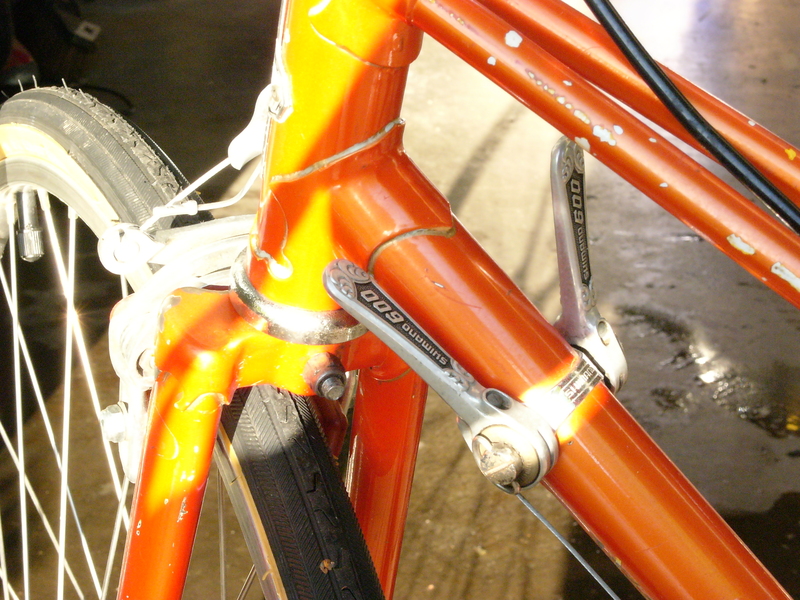 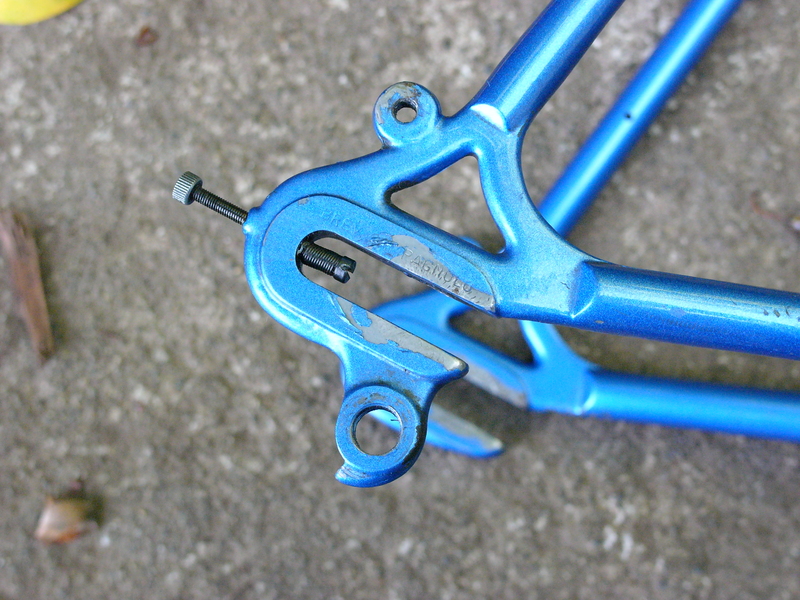 There are no braze-ons of any kind, but the clamp-on Campagnolo and Weinmann guides are very attractive. 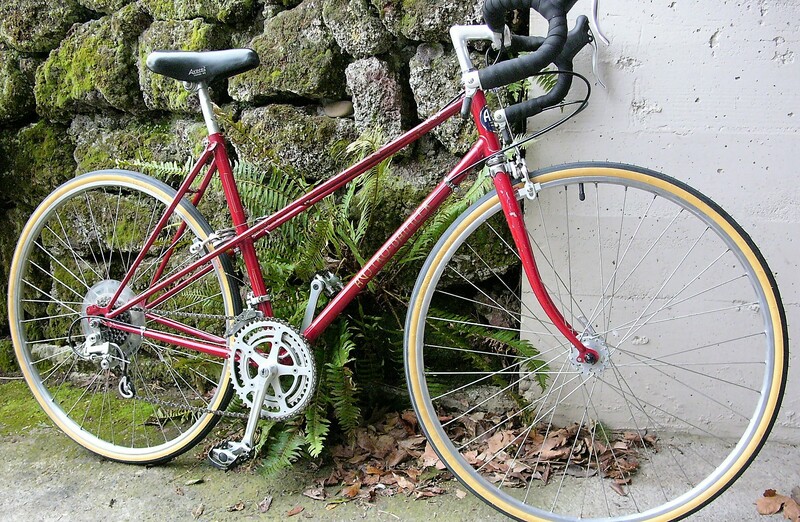 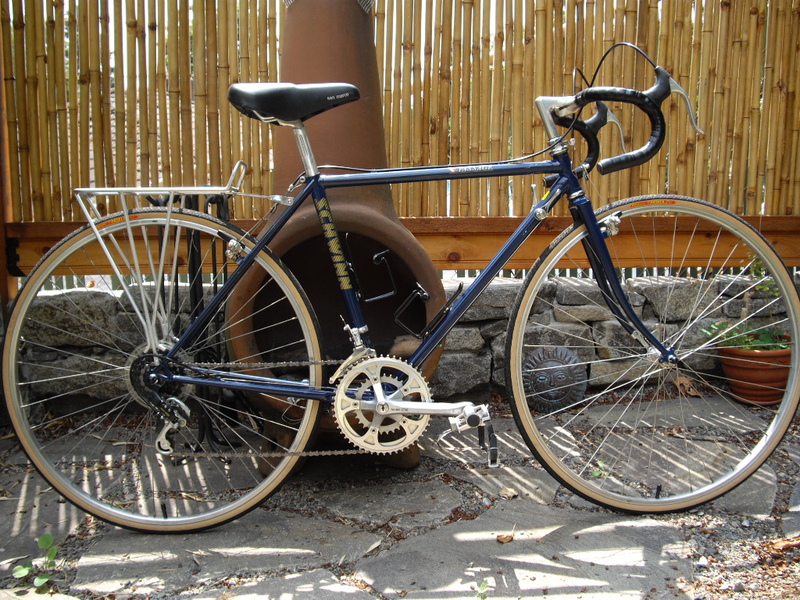 This is another great example of a quality touring/sport-touring bike from the late 70’s. 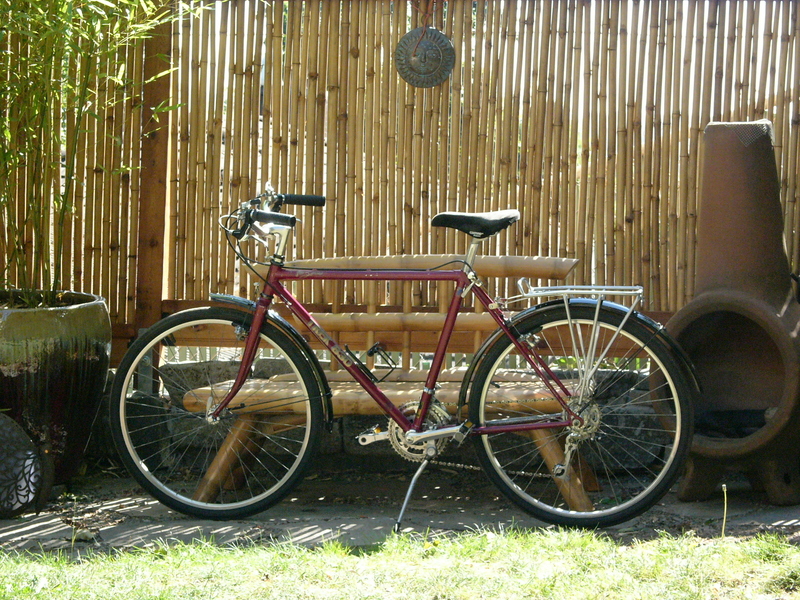 Although a production build, the bike has survived quite well and has many miles left to go. 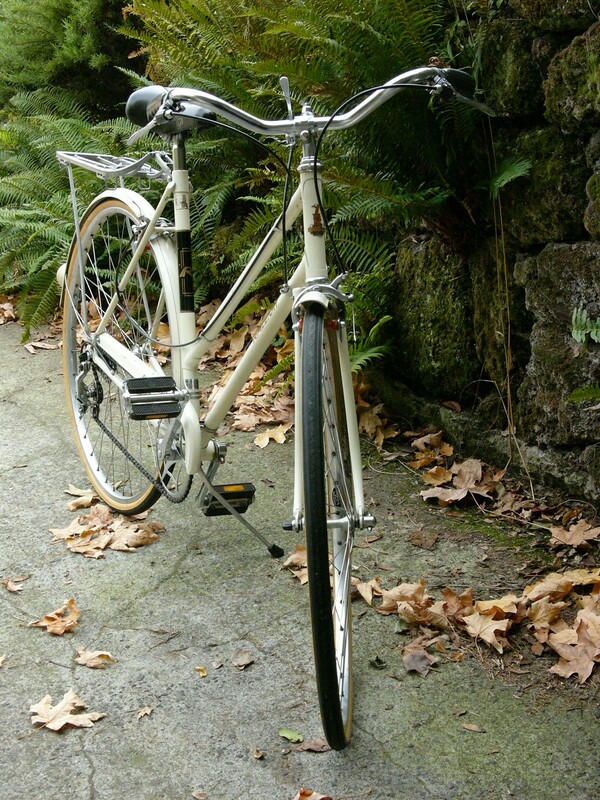 Update October, 2016: Sold! 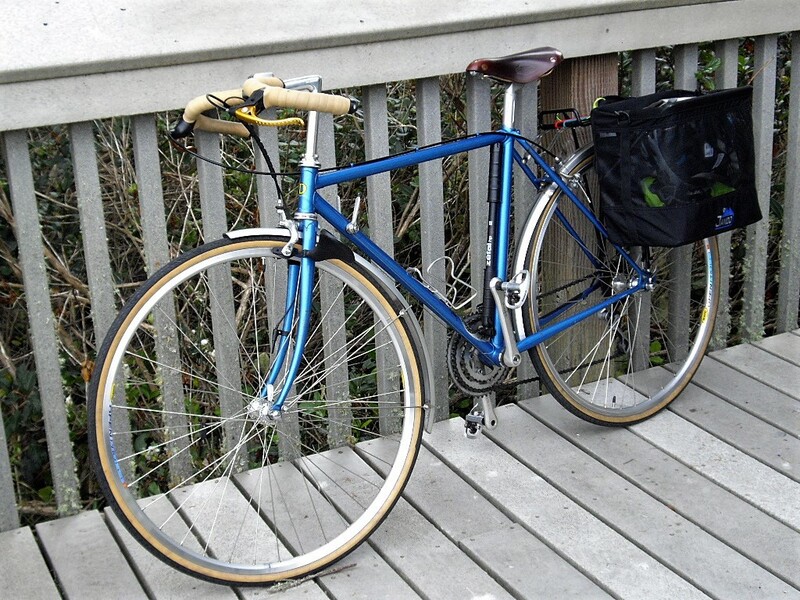 Congratulations to Bob in Pennsylvania.